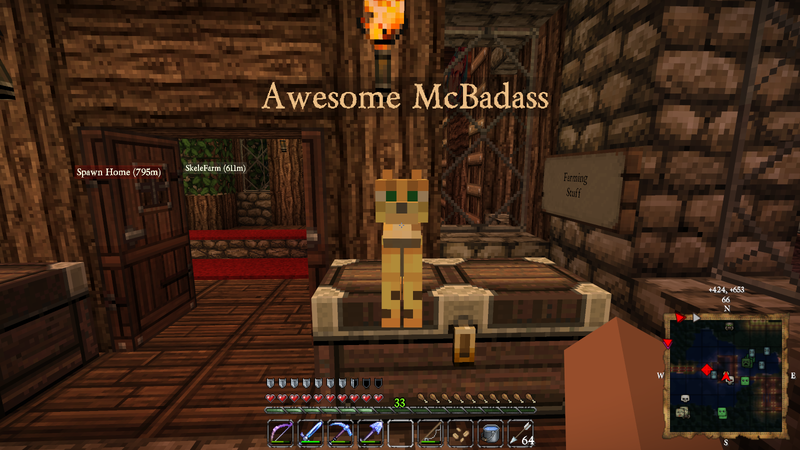 Awesome McBadass the Cat – One Deranged Neko! I took all of my pets to SpawnHouse because they wouldn’t stay put with enemies around. They kept deciding to run off. This guy braved the nether to get back home to LakeHouse. Name Earned!